KATHARINE SCHROEDER PHOTO | Suffolk County officials have given up control of the Railroad Dock. The Railroad Dock on Third Street in Greenport is no longer under county control. The nonprofit floating museum Fire Fighter is looking for skilled and unskilled volunteers, who would be trained to help out as needed. 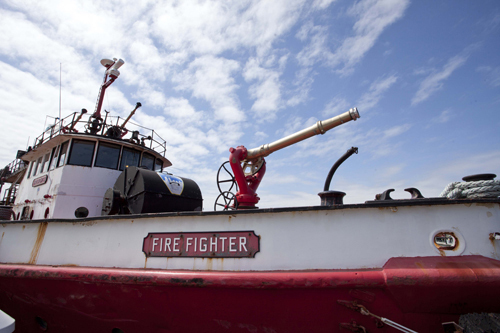 The Greenport Village Board has unanimously approved a new lease agreement that allows the fireboat to remain at its current location in Greenport.